Are you looking for clerk jobs in govt. banks?Then here is some good news – the IBPS Clerk 2018 Exam notification has been released.It is one of the most expected announcement & through this, IBPS is to conduct the common written examination (CWE - VIII) for clerk jobs in Indian banks for the year 2019-20. IBPS conducts this common exam once every year for graduates.Qualifying in IBPS clerk 2018 exam is necessary to apply for clerk vacancies in public sector banks of India. Preliminary test on December 8, 9, 15 & 16. 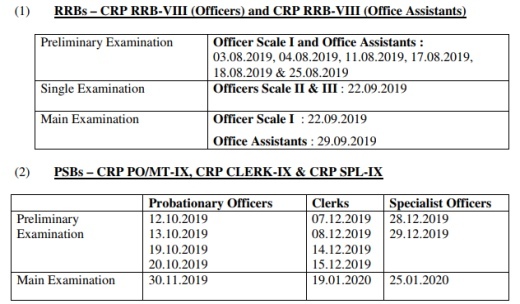 If you had a question of how many clerk jobs in banks for the upcoming year 2019-20, the exact answer is now revealed by IBPS. 7275 clerk jobs are to be filled in public sector banks, through IBPS clerk 2018 selections which is lower than previous years, due to various reasons. As mentioned earlier, the 2018 IBPS clerk exams shall follow a two stage process – Preliminary & Main Exam.Both are to be conducted only online. By Online (from Sep 18 – Oct 10): Visit ibps.in & click on the online application (CWE-Clerks-VIII) to fill necessary details. Federal Bank Clerk Recruitment 2018 | Freshers Eligible!! Federal Bank clerk recruitment 2018 notification has been released and being one of the large private sector bank based in South India, those looking to apply for bank jobs in india would find it useful.Headquartered in Kerala, the bank was established in 1931 & currently is present across 24 Indian states with 1252 branches. The total of clerk in federal bank would be minimum 3.99 to a maximum of 4.41 lakhs /year depending on the place of posting and other factors.The take home salary could be approximately around 21 – 23,000/ month. Vacancies are to be filled in the states of Haryana, Karnataka, Kerala, Maharashtra, New Delhi, Punjab or Tamil Nadu. For you to apply under federal bank clerk recruitment 2018, satisfying the below conditions are necessary. Federal Bank shall conduct an online test for eligible applicants and selected candidates would be called for for group discussion and personal interview. The online aptitude test will be followed by a psychometric questionnaire for 15 minutes. Each wrong answer in the objective test will be awarded 0.25 negative marks. Candidates need to choose their preferred test centre from the locations from the list given in the notification. Service bond: The selected candidates will be required to execute a service agreement upon joining the bank undertaking to serve the bank for minimum 2 years or to pay the bank a sum of Rs.30,000 in case he/ she intends to leave the bank before completion of the service period. 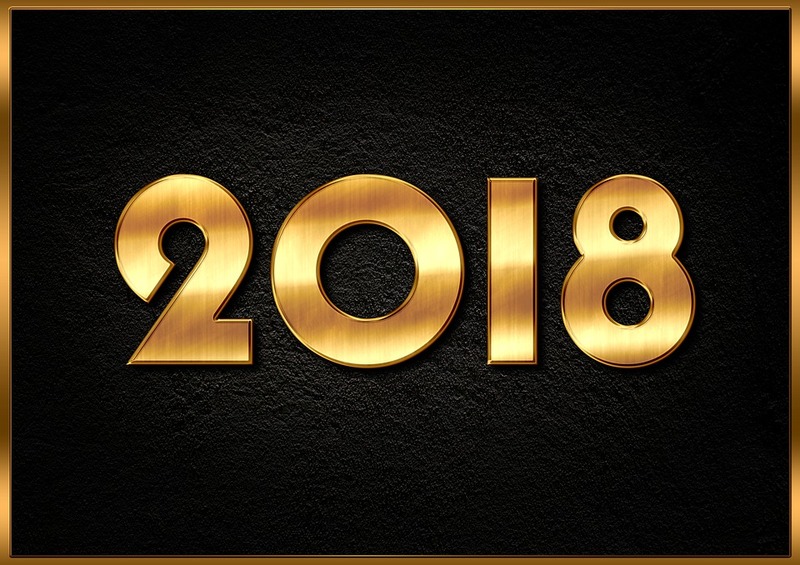 Those who are looking to apply for the NIACL Recruitment 2018 for the post of Assistants have a common question in mind – What is the local language of their state.New India Assurance Company in their notification has allotted vacancies in each state & candidates with local language proficiency only are asked to apply.So we have compiled the the list of official language for each state that would help you to decide on your eligibility. Being a public sector insurance company, the NIACL assistants recruitment 2018 for 653 vacancies has generated a huge response among young graduates, especially among freshers. A candidate can apply for vacancies in any one state only. Should know to read, write & speak the official language of the state. Regional language test will be conducted for selected candidates. Candidates who don`t clear the language test will be disqualified even if they have scored high marks in the NIACL mains examination. While filling the online application, it is essential for you to choose the state & also your proficiency of that particular state`s language. Also, the state you choose to apply will your job location at the time of joining & for the initial years. On request of many of our readers, here is the detailed table containing the list of states, vacancies & its official languages. I dont know to read or write but I can speak the regional language.Can I apply for that state? No.You cannot apply without knowing to read or write. Lets say, you are currently in Tamil nadu & know to speak Tamil but cannot read or write that language.In this case, you are NOT eligible for vacancies in TN state because you must be able to read, write & speak tamil language. Those of you who only know to speak or read but cannot write – are not eligible to apply for that state. Which states have Hindi as an official language? Andaman & Nicobar islands, Bihar,Chandigarh, Chattisgarh,Haryana, Himachal Pradesh, Jharkhand, Madhya pradesh, New Delhi, Rajasthan, Uttar Pradesh, Uttarakhand are the states that consider hindi as their official language for NIACL assistants recruitment 2018. Is it compulsory for me to have studied the specific language in school? All candidates irrespective of whether they had studied the language in school level or not must appear for the language proficiency test at the time of appointment. Apart from the need to know local language of the state, also check out 9 other important rules of NIACL recruitment 2018. It seems, there is no better time than now for government jobs in India as more banking & insurance organizations are coming out with large number of jobs.The latest to join this list is New India Assurance Company Ltd (NIACL) recruitment 2018 notification for Assistant posts. New India Assurance Co Ltd founded in 1919 is a fully govt owned & market leader in non-life business for more than 40 years.It functions across all Indian states with 2100 branches & 19000+ employees. These openings are spread across all states.Wait for the official notification to know the exact breakup of vacancies. The eligibility conditions to apply for this NIACL assistants recruitment 2018 is quite simple & wouldn't confuse any aspirant. - Must have passed in English subject at SSC/ HSC/ Intermediate/ Graduation level. Language proficiency: Applicants must know to read, write & speak the local language knowledge of the state they are applying. You DO NOT need IBPS exam scores.Therefore anyone who has not even appear for IBPS bank PO, clerk & specialist officer exams are also eligible to apply for these jobs. The selections for these assistant posts in new india assurance company ltd will be through written test & regional language test. As per the orders of Indian government, no interviews would be conducted for assistant cadre positions. Prelims Examination: There are 100 questions, each carrying 1 mark that should be answered in 1 hour.Negative mark: 0.25 for every wrong answer. There are minimum qualifying marks (cutoffs) for each section & based on the performance of all applicants, state-wise & category-wise list of candidates shall be shortlisted for main exams. Final Selection: Candidates who qualify in the main examination are shortlisted for regional language test, wherein your local language proficiency is tested. It may involve you to write a passage in the regional language of the state that you are applying for. According to the NIACL exam pattern, here are the recommended books that you may buy to prepare for the different sections of NIACL prelims & mains. All those interested to apply should visit newindia.co.in for the online application & fill in their details.Remember to upload your signature & recent photo. The much expected RBI Grade B Officers Recruitment 2018 notification is released and is expected to generate a lot of response among bank job aspirants for obvious reasons.Reserve Bank of India, owned by Govt. of India is the top banking organization that is primarily responsible for maintain the economic stability in India.In simpler words, it can be called as the Banker to Banks. RBI Grade B Officers Salary: The total salary is Rs.75,831 /month approximately which includes various allowances such as HRA, DA etc., and other benefits applicable for employees. Individuals who wish to apply for RBI grade B recruitment 2018 must pay Rs.850 (GEN/OBC) or Rs.100 (SC/ST/PWD) through online payment only. Baroda Manipal School of Banking (BMSB) was setup jointly by Bank of Baroda (BOB) & Manipal group to select candidates, train them in the field of banking & make them ready for bank jobs.On successful completion of training they will be absorbed by BOB as Probationary officers.BMSB has issued the notification for Bank of Baroda PO recruitments 2018 – 19. This initiative is similar to ICICI Bank PO recruitment programme, which is also being conducted in tie-up with Manipal university. But there`s a notable difference - Bank of Baroda is a public sector bank & the one among few PSB`s to offer such an opportunity. Candidates are to be inducted in batches between April 2018 to March 2019.But number of students for each batch will be decided by the bank as per the requirement. In total, 600 vacancies are to be filled in Bank of Baroda PO recruitment 2017 through Manipal school of banking. Qualifying in IBPS common bank exam or its scores are NOT necessary. First, all eligible applicants are to appear for an online aptitude test to be held at various centers across India in the month of September. The pattern consists of objective & descriptive tests for a total of 250 marks. You need to score separate cutoffs in each test & also on the total score in order to qualify for GD/ interviews. Books: There are study materials available for the baroda manipal PO exam, that you can purchase to prepare from home. After selection, all candidates will be admitted into 1 year residential PG diploma course in banking that costs Rs.3.45 lacs which would be provided by Bank of Baroda as loan. The EMI for this loan amount shall be deducted automatically from your salary (after joining bob) every month for the next 7 years. On completing 5 years of service in the bank, the loan amount of Rs.3.45 lacs will be returned/ reimbursed to the candidate as loyalty bonus. The 1 year course program consists of 9 month classroom training followed by 3 months on the job training. Online: The application form is integrated with an online payment gateway.Pay via debit or credit card & take a print of the transaction receipt as proof.